Thursday, July 11, 2002. Philadelphia, PA. Photos by Mike Levin. - Global Education and Advocacy. 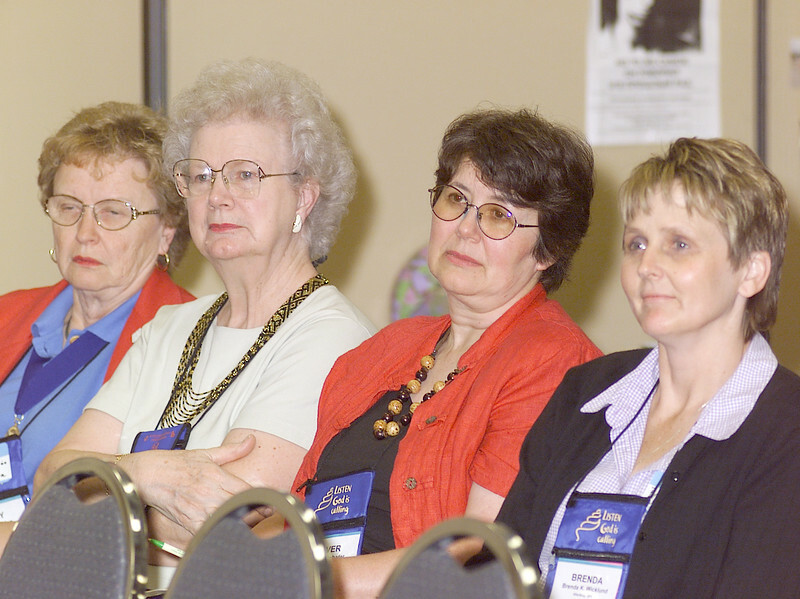 (L-R) Nancy Christian, Malaysia 1998, Alice Pollard, Malaysia 1998, Klover Schafer, Malaysia 1998, Brenda Wicklund, Hinckley, MN, listening to the speakers.